Previous Prev FREE Teleseminar: Shattered Woman Rising — Let's RISE Together! Being told my surgical appointments were at an end was my first kind of untangling from my frequent follow-ups at Sloan. So to say it was a busy month is an understatement — and that is without layering in kids’ stuff like basketball games, fun get-togethers, Christmas preparation, wrapping gifts, last-minute shopping, cooking and cleaning, and, well we all know the drill. In December, we really got hectic but through all of it, it was joy. Yes, I had been stressed and continue to be about some private issues with my spouse but all in all I work hard on my mantra of being in the moment, grateful and joy-focused. My mammogram was scary but not as scary as last year so that is a huge improvement. I actually slept the night before! Huge! Then waiting between the squeeze and sonogram was some stress, of course, but moments after the sono I got the letter all was negative, no cause for concern, and then it was off to the surgeon. I met with the amazing nurse Liza and she told me that was it was time to discharge me from surgery as it had been two years — what a milestone. I know that most folks who have been through cancer experience fewer and fewer appointments and eventually transfer their care to just their primary doctors or local doctor, but being on my clinical trial means I do not yet have that demarcation or that “dumping” by my cancer center yet, lol. Being told my surgical appointments were at an end was my first kind of untangling from my frequent follow-ups at Sloan. 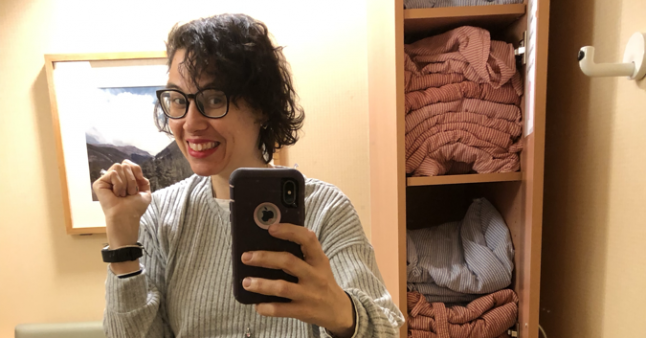 I did not feel afraid or dumped but ready to have one less appointment to work around — especially as I consider going back to work full-time. Two weeks before my mammo I had my clinical trial check-up and saw my oncologist and was told all is good with my blood, had a physical chest exam and got my next three months of pills, which are months 18, 19 and 20 of a 24-month trial for the drug Ibrance, which means I am soo close to the finish line. I told my oncologist about my upcoming trip to Italy and she was so excited and remembered that my dad had been so sick; she said, “It is amazing you guys can go on this trip after how your dad almost died!” I am always impressed at what the team remembers about me and my life! My next posts will be about special NYC events, New Year’s manifestations, January goals and trip countdown!! Can’t wait to share and happy New Year (a little late) to all of you! What are your resolutions? 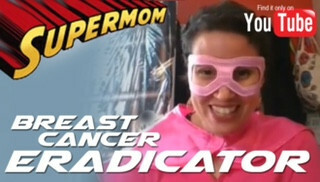 This post originally appeared on SuperMom — Breast Cancer Eradicator. It is republished with permission.